Recently, a friend’s wedding took us out of Upstate New York, along I-95 to Wilmington, Delaware. It was perfect timing; offering a much needed escape from our let’s-get-this-kitchen-store open to-do list. As we were mid-celebration, mingling, chatting and catching up with old friends, the Mother of the Bride came over and grabbed Jason’s arm. “This is the furniture designer who made me my table up in Vermont,” she told guests. From there, we spoke of their lodge in Okemo and how very much she still loves that table. Seven years ago, Jason completed the commission we reminisced over that day in Delaware. The Whittington Table, named for the family, was both rustic and modern. 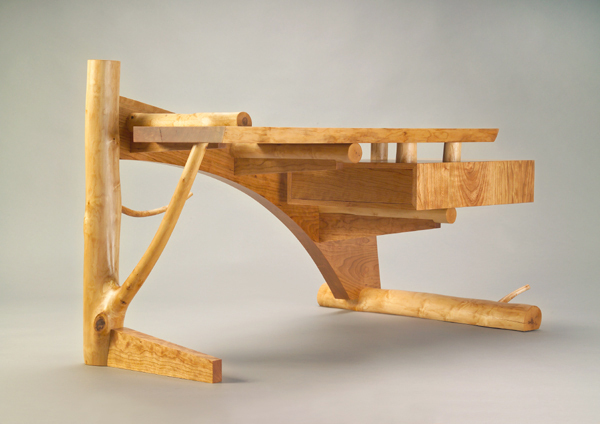 Born of cherry and maple, the natural forms of the wood extend effortlessly from an arched support beam. 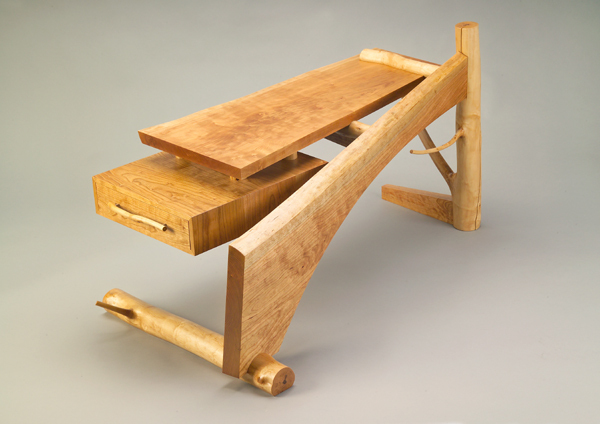 A cantilevered tabletop and drawer box make this one-of-a-kind piece both unique and functional. 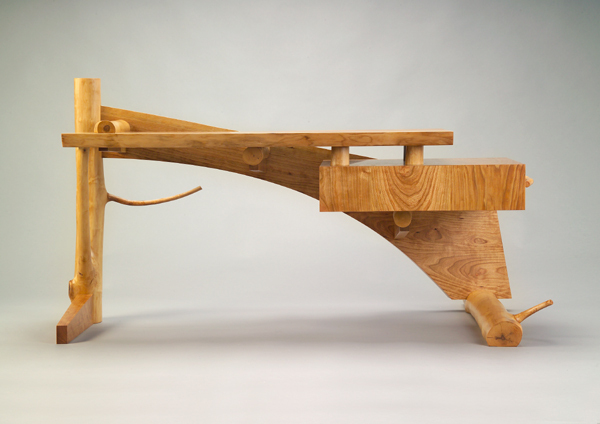 Before finding its home in Okemo, the Whittington Table was briefly displayed at The Adirondack Museum’s Rustic Fair, where it received the award for best Contemporary Adirondack Design as well as the People’s Choice Award in 2006. 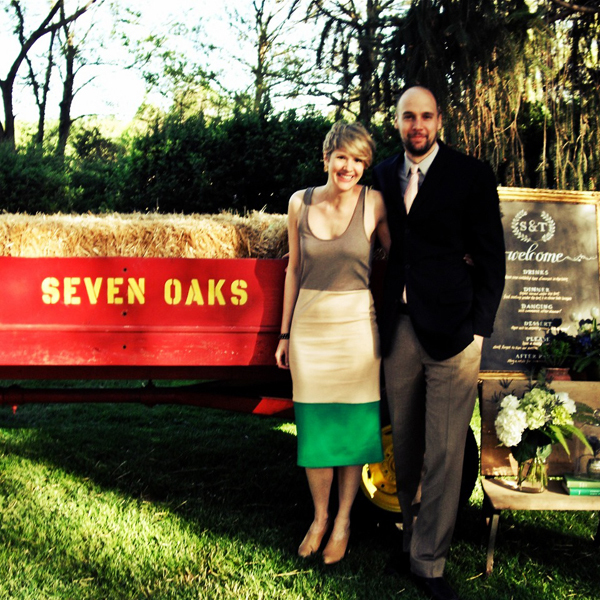 How lucky we were to share this beautiful weekend with our friends (Congratulations!) and how thankful to know that seven years later, a table is still as much at home, as it is a part of their home in Okemo, Vermont.